North Wind is a full-service solar electric system provider. Our installations are led by our NABCEP-certified installers and licensed electricians. 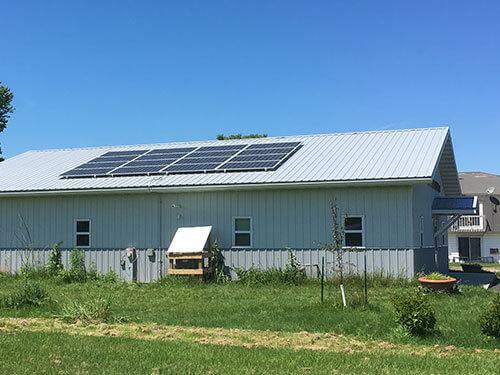 North Wind has an extensive track record of successful solar power systems, both commercial and residential, throughout Wisconsin. Please take a look at our body of work over the years. This ballasted roof mount is located on Lincoln High School in Wisconsin Rapids, WI. The system was built using Dynoraxx racking, REC modules and Solar Edge inverters and optimizers. 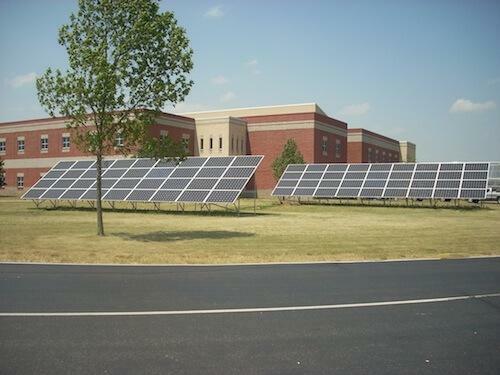 The system is estimated to produce 103,000 kWh each year offsetting about 10% of the school’s annual energy usage. 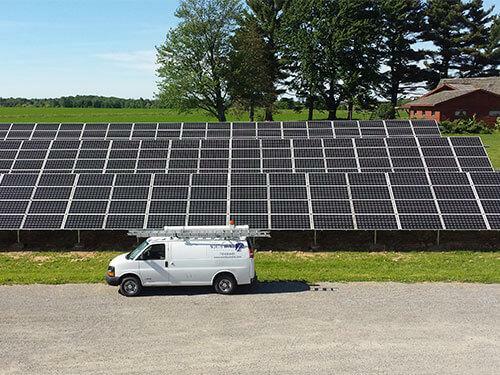 This 19 kW ballasted array features Eco Foot 2 ballasted racking, Canadian Solar modules and SMA string inverters. 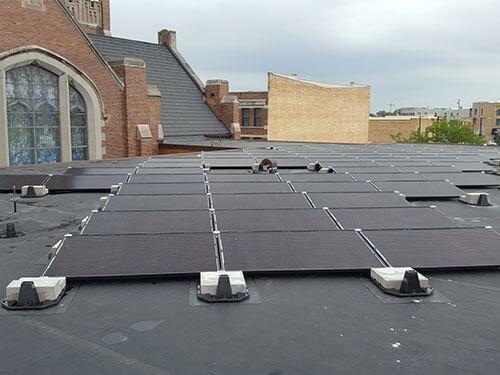 This solar array is projected to produce 22,023 kWh each year and offset 63% of the Church's main electrical meter. 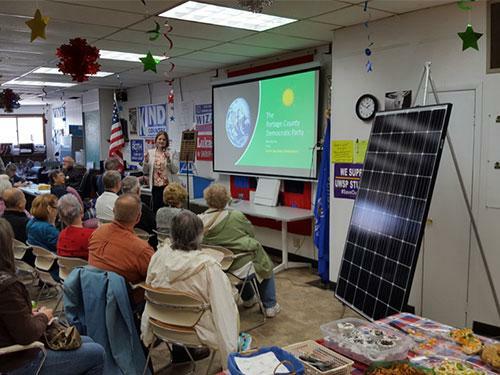 This project had assistance from RENEW WI's Solar for Good grant program. 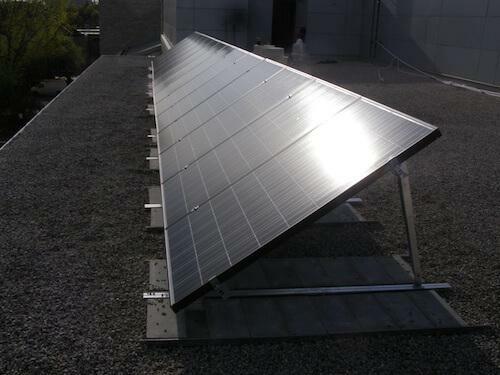 This roof mount features SolarWorld modules and two SolarEdge inverters and power optimizers. The system is estimated to produce 29,967 kWh each year and is expected to offset 10% of the Library’s annual electric usage. Real-time monitoring the array is on display in the lobby of the Library. 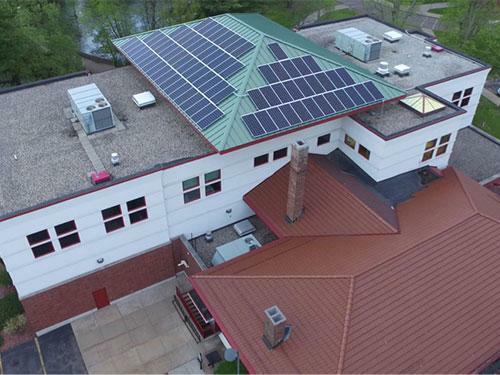 This installation featured Legacy Solar Coop financing allowing members of the community to support the Library going solar. This ballasted roof mount is located at the Portage County Democratic Party Headquarters in Stevens Point, WI. 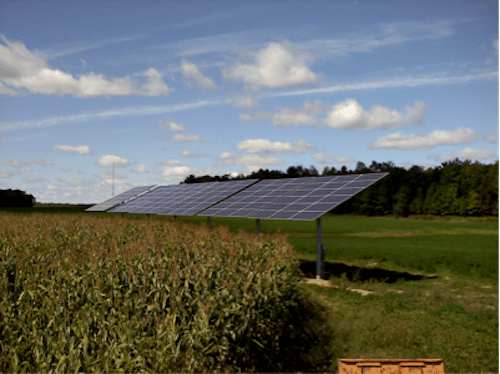 The system was built using Dynoraxx racking, Canadian Solar modules and a SMA inverter, featuring Secure Power Supply. The system is expected to produce 7,399 kWh each year offsetting 67% of the Party’s historical annual usage. Small rooftop PV system on the Stratford Vet Clinic with 16, 72-cell modules and an SMA inverter. This system powers Sternweis Farms, an automated dairy in Marshfield. 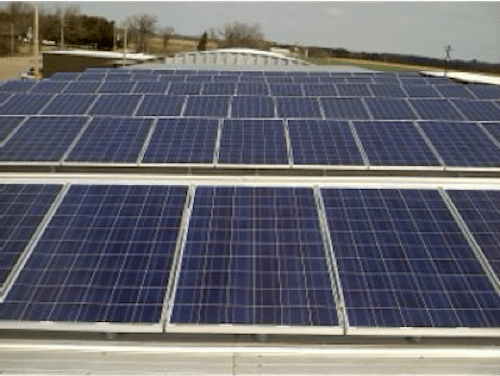 The ground arrays are comprised of 300, 325 watt solar modules and SolarEdge inverters. 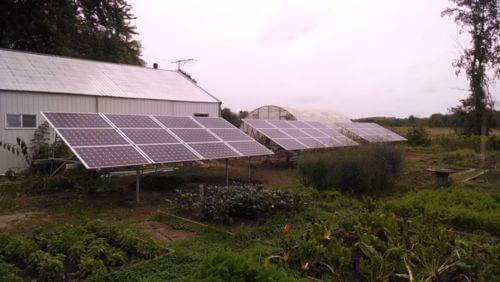 Another solar powered organic farm! 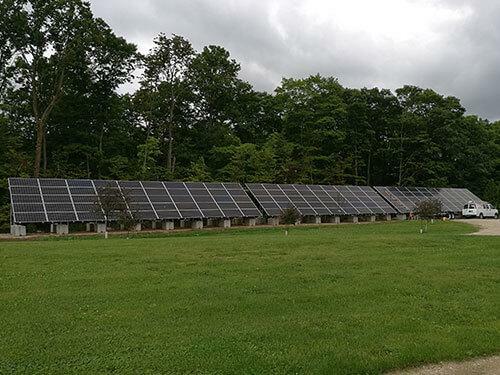 This ground mount is located at Waseda Farms in beautiful Door County and was built with 145, 345 watt PV modules and SolarEdge inverters. It's estimated to offset half of the farms energy use every year for 30+ years! 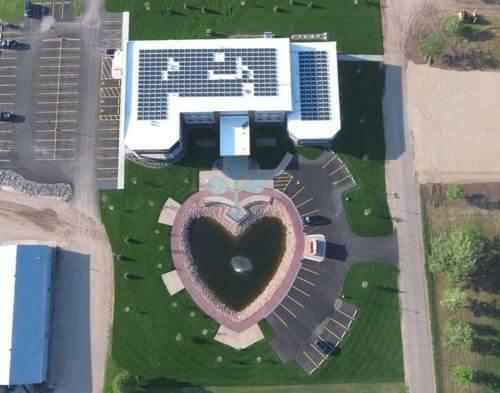 This system sits atop the Organic Valley headquarters in La Farge, WI. 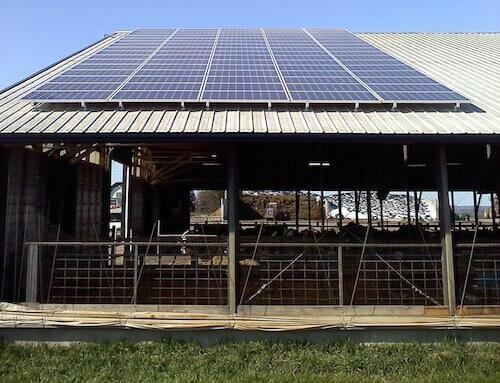 The array is made up of 214 SolarWorld modules and powered by 2 SolarEdge 33.3kW inverters. 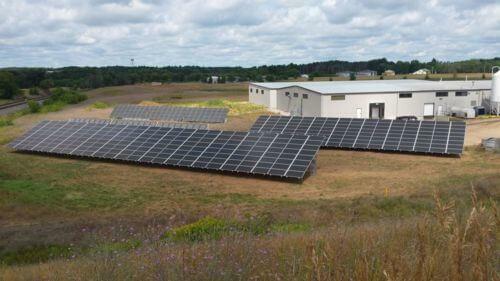 This site will receive over 80,000 kWh of clean energy each year! This ballasted roof mount is located on Heartland Farms in Hancock, WI. 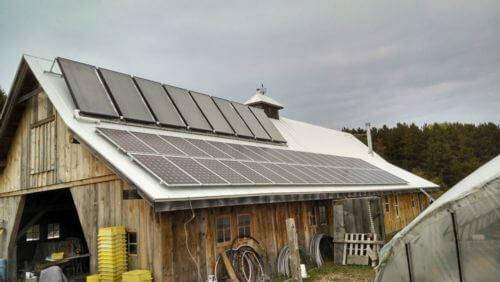 The system was built using Dynoraxx racking, SolarWorld modules and SMA Sunny Boy inverters. It's estimated to generate over 109,000 kWh each year, offsetting about a third of the building's energy consumption. 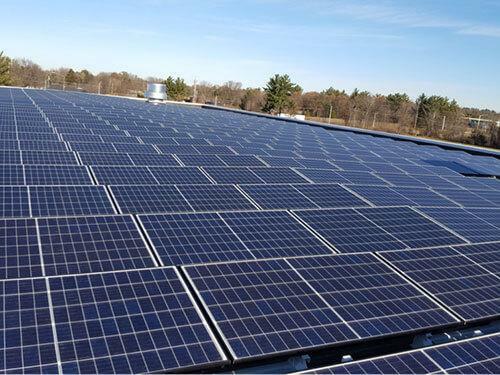 Central Waters Brewing Co. expanded their solar capacity by contracting North Wind to install an additional 100kW of PV. This system generates over 130,000 kilowatt hours annually. Remarkable beer from renewable means! 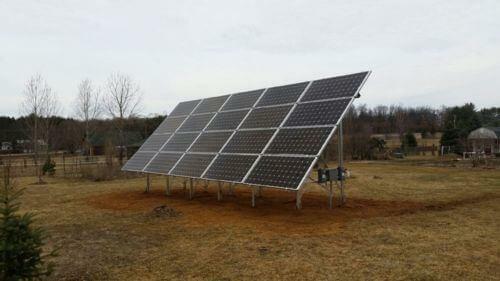 This ground mounted system is comprised of 20, 315 watt Solar World Sunmodules in landscape orientation. This system is expected to offset over 80% of the clients annual electrical usage. This grid-tied PV system powers Vespertine Gardens with 36, 275 watt Solar World modules and a 10kW Fronius string inverter. This system powers Cutler Fence and Farm in Milladore. The system was pitched up to maximize overall annual production. This system powers Whitefeather Organics, a local organic CSA in Custer. 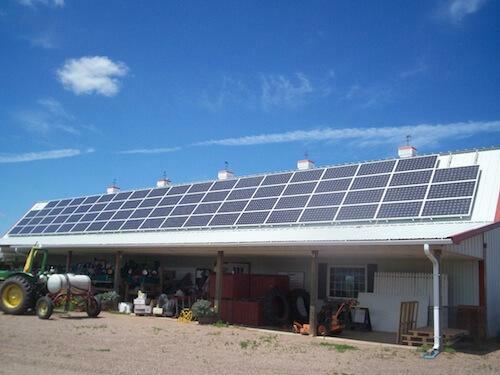 The system is made up of 36, 275 watt Solar World modules and SMA Sunny Boy inverters. Electricity AND heat from the sun! 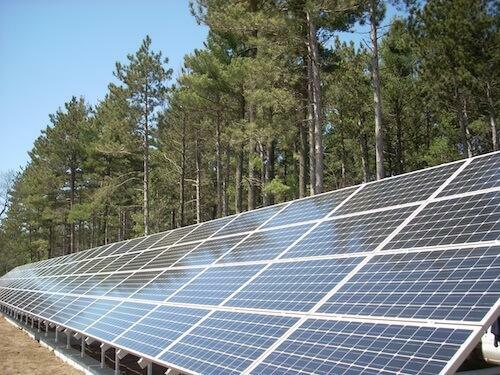 This system is made up of 81, 245 Mage solar modules built on three ground mount racks. It features 3 SMA Sunny Boy 6,000 watt inverters. 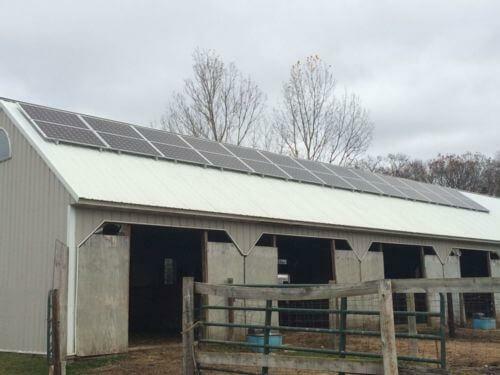 This PV system was installed on a horse stable out in the Custer countryside. It’s made up of 26, 275 watt Solar World modules. Commercial roof-mounted system on Klismith Accounting in Plover. Estimated to produce over a million kilowatt hours over the course of the systems life! 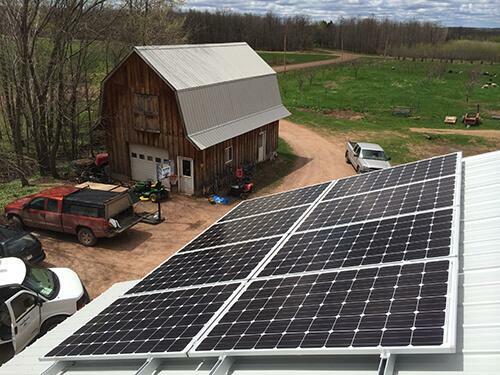 Roof-top solar on an organic CSA farm. System is made up of 8, 255 watt Solar World Sunmodules. Roof-mounted system on Butch's Service north of Marshfield. System built with 51, 280 watt Solar World Sunmodules and 3 SMA TL-US string inverters with SPS technology. 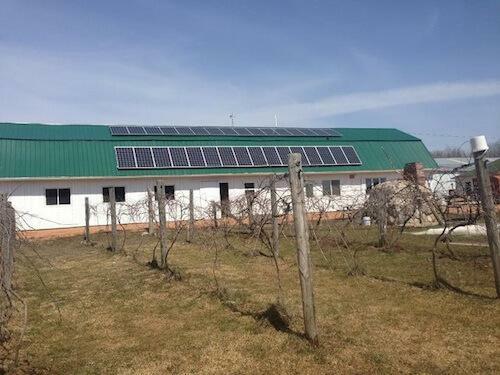 Grid-tied, roof-mounted PV on Westby farm. System made up of 104, 250 watt Helios modules. Ballasted roof mount on WorldBuilders in Stevens Point. This system was installed using 39 Mage modules with individual capacity of 245 watts. 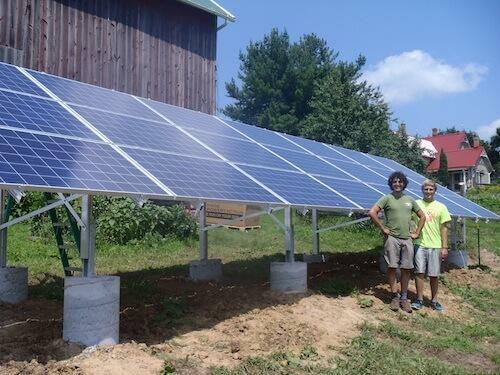 This grid-tied, ground mounted system can be found at Hilltop Community Farm in LaValle. 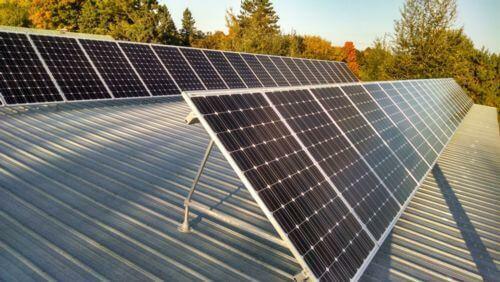 It's built using 21, 245 watt PV modules. This is a grid-tied roof-mount at Stoney Acres Farm in Athens. This project also featured the installation of our Effecta 60K, high-efficiency wood boiler. 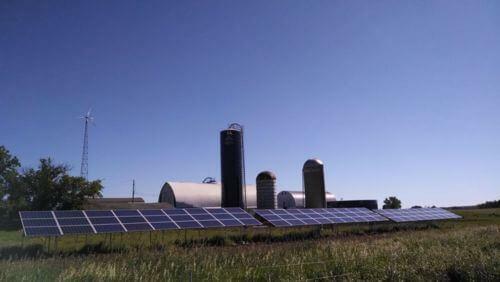 This is a roof mounted array featuring 108, 180 watt PV modules at Breitenmoser Farms in Merrill. This ground mount installation was built for Boston School Forest. It’s made up of 76, 185 watt Mage modules. This PV system shows how solar can be integrated in natural surroundings to create added value. 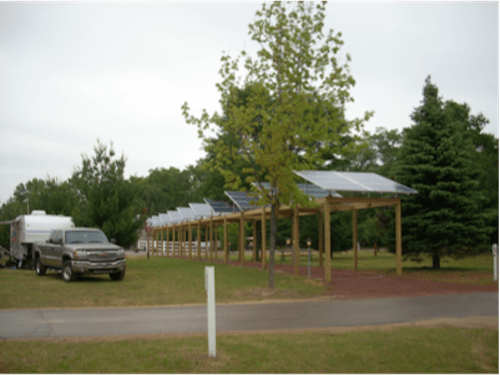 This solar walkway was built on wood timbers and is comprised of 96, 230 watt PV modules. 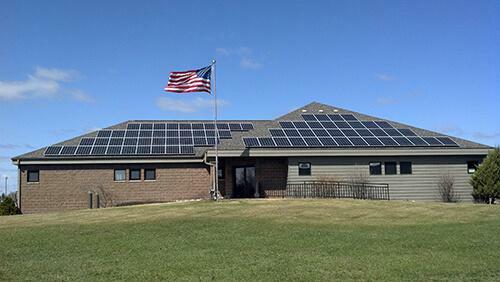 This grid-tied commercial installation, located at Soik Farms, was built using 178, 230 watt PV modules. These ground mounted arrays were made possible by the fundraising efforts of the WHS Green Team. Grid-tied, seasonally adjustable top of pole mounts at Black Magic Organics. System is made up of 108, 190 watt modules. 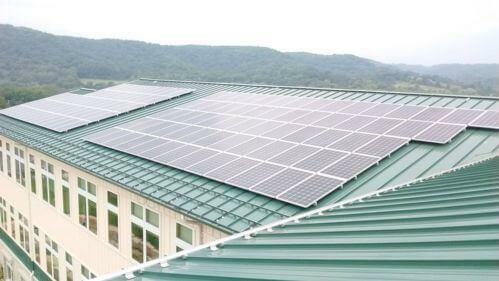 Roof mounted solar for the Town Hall building in the town of Dayton. 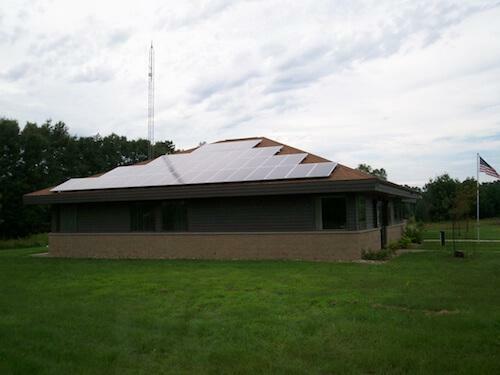 Commercial solar PV in Stevens Point. This system produces clean energy for Emy-J's coffee house and features a solar awning comprised of 21, 185 watt PV modules. 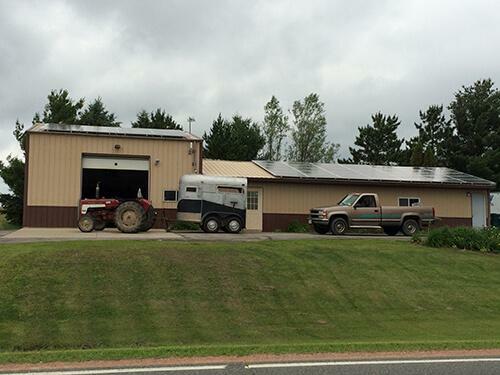 Grid-tied PV system in northern Wisconsin. 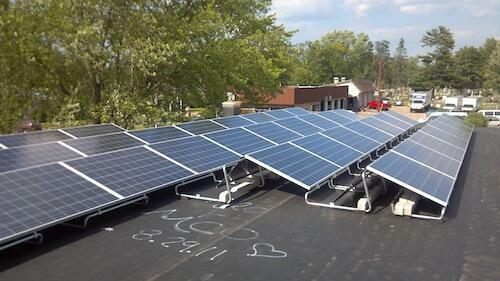 Ballasted roof mount PV system at Lawrence University.